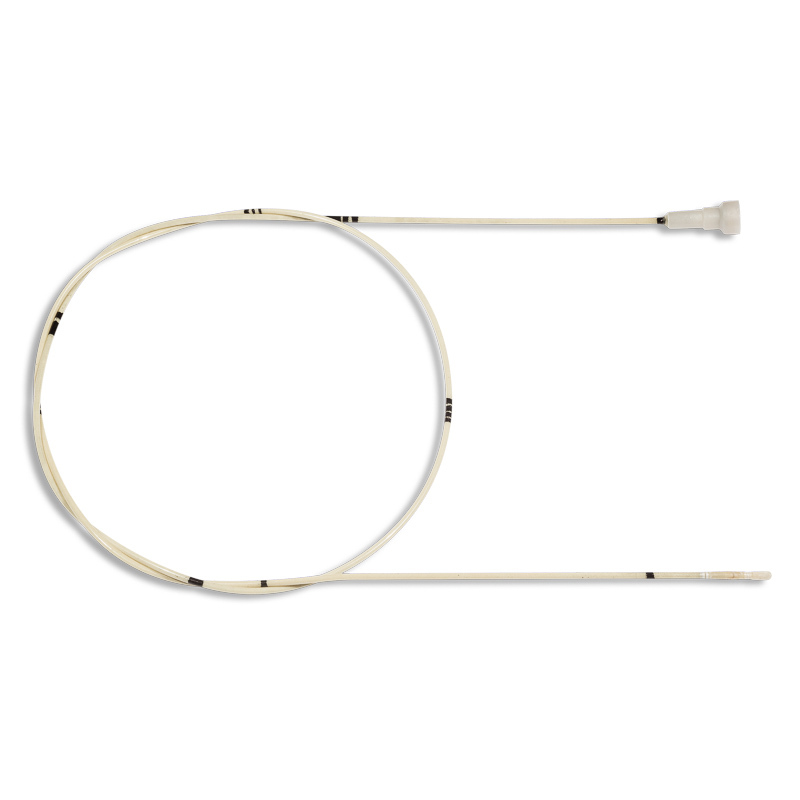 Fogarty type probe is a narrow-profile instrument used in vascular surgery to treat embolic syndrome by mechanical removal of embolus and blood clots from blood vessels. The configuration with a locking device is a universally accepted standard used by surgeons in working with vessels. A probe is used to remove embolus and thrombus from the aorta, peripheral arteries and large veins, and is used in vascular surgery. The Fogarty type probe consists of a tube in the form of a steel spring, braided with polyester thread and covered with urethane varnish. On one side of the rod is a latex canister, which when inflated by air takes a cylindrical shape, on the other hand – a cannula with a locking device. The probe has marks marked at intervals of 10 cm. The “Fogarty” type probes are deployed in unfolded straight form to prevent deformation and preserve the shape memory effect during transportation. Depending on the diameter the prices are different! For regular customers, we have developed an attractive system of discounts. You can get consultation on the final cost, terms of the order and delivery of products by calling us: (812) 314-54-56, 314-57-65 or leave a request on our e-mail.